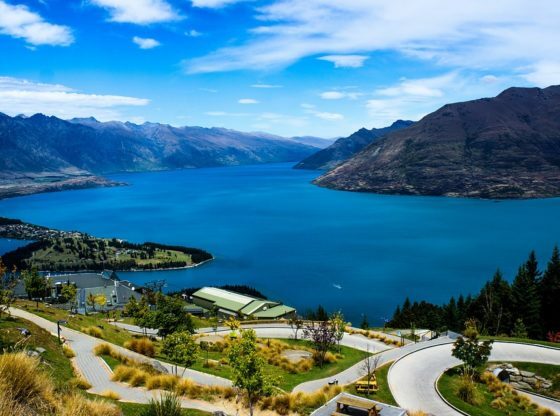 In Queenstown most travelers (and residents alike) will tell you that it is the recreational capital of New Zealand, in the same tradition as Aspen has become the ski destination for the US and Whistler the go-to winter wonderland of Canada. Nestled on the shores of Lake Wakatipu, it’s also a bustling tourist destination that still somehow retains its small-town feel, in part because expansion of the South Island retreat has been slow (and some would say deliberately). As a result, all walks of travelers, from the refined and business trip connoisseurs to hitchhiking nomads with nothing but the belongings on their pack share this splendorous locale. Perhaps because it serves as a hub between the ‘wild west coast’ of the South Island, Te Anau (where the glacial carved Milford Sound awaits), and Christchurch to the east, there are all number of hostelling and hotel options, and many are family run out of old Victorian houses that still linger with that bygone charm. 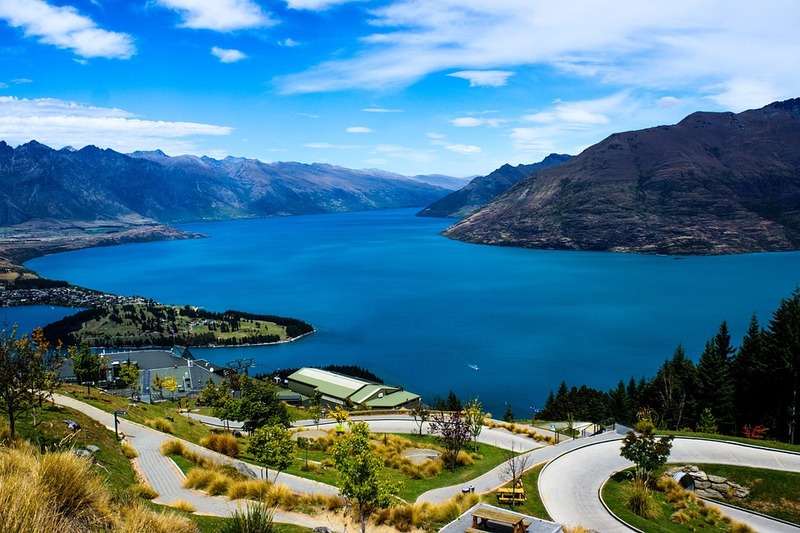 In terms of recreational activities, the first thing anyone is likely to see when they drive into the steep downtown core of Queenstown is a number of people waterskiing or parasailing on the deep blue lake. From June to August the skiing and snowboarding is the highlight of the town, with outfitters throughout the city renting gear and offering tours and rides. Outside Queenstown there are a number of other extreme recreational sports as well, including bungee jumping and swing-lines (similar to a bungee jump, but many will testify to it being even scarier than its predecessor). Horse-back riding tours in the area are also complemented by a number of infamous wine tours throughout the more arid area of Glenorchy. Unlike the more tropical Marlborough region in the north, the rocky arid landscape here produces some of the finest red wines in New Zealand. Although there is a lot of adrenaline sports in Queenstown, it is also a haven for those just wanting to get away, whether that involves fine dining at some of the lakeside restaurants – some of the sake bars offer premium spirits, including a 150 year old vintage – or just sitting on the black stone beaches and watching sunsets against the Remarkables, the sharp edged rocky mountain range that overlooks the town. As well, it also boasts a thriving nightlife, and Skycity located on the main drag of Beach Street is the choice location for gamers and fans of casinos, with a fully stocked gaming floor including racing and blackjack. You could also play the latest casino games online while you’re in your hotel. Speaking to its status as part of the Commonwealth, a number of Irish and English style pubs keep their pints flowing long into the night, and often feature local musicians (although not always armed with bagpipes). New Zealanders are eminently famous for their environmental mentality, and it reflects both in their bustling eco-tourism and in their love of exploring the outdoors. But more than that, they are always eager to engage others in their passion, and their friendly and outgoing persona makes Queensland an ideal pit stop, either between tramping the wild and wet southern tip, or visiting the cultural hub of Christchurch with its museums and art galleries. Author Jordan Mounteer is a globe-trotter and freelance writer based out of Vancouver, Canada, and is always on the lookout for new adventures, whether they be learning how to make knives from an elderly couple on New Zealand’s coast, working on a road crew in the middle of the Ecuadorian jungle, or exploring the rich and colorful culture of Japan as an English Teacher.